For many of us, our hairstyle is our main form of self-expression. The shinier the hair, the more luminescent the soul, right? That’s why we need a hair product that won’t weigh down our luminosity but enhance it. These locks were made to shine, so who are we to stop them? 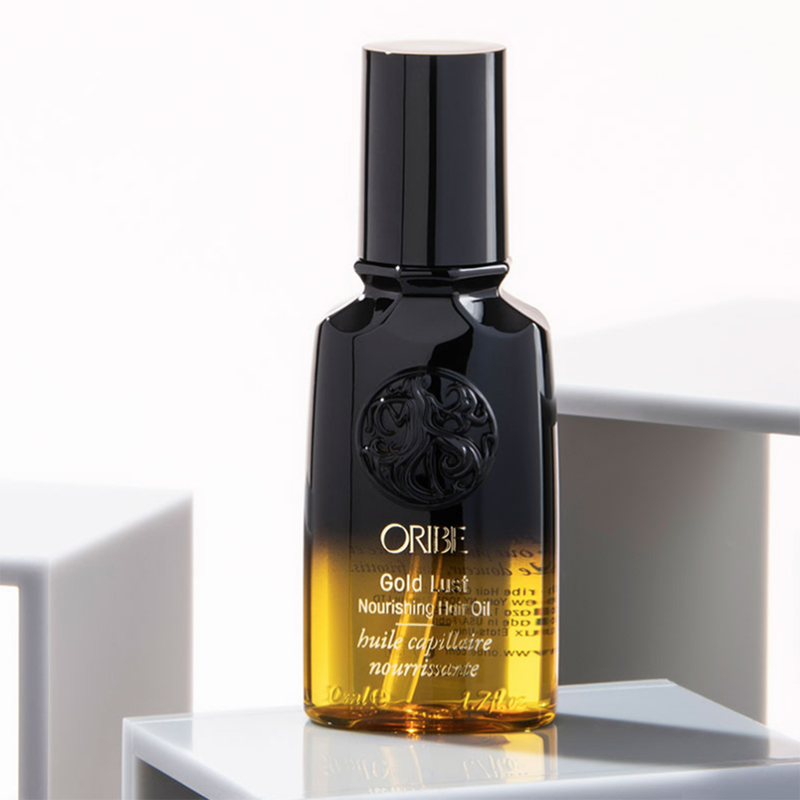 With Oribe’s Gold Lust Hair Oil, our hair may be worth more than 24-karat gold. That’s why it’s only fitting for a platinum singer-songwriter to use it! This oil is an absolute favorite of country superstar Kacey Musgraves and her hairstylist, Giovanni Delgado, who said Musgraves’ hair is nicknamed “Black Mirror” because of its extreme shine. (Not because it’s creepy like the Netflix show.) Don’t forget that Duchess Meghan is a big Oribe fan as well! 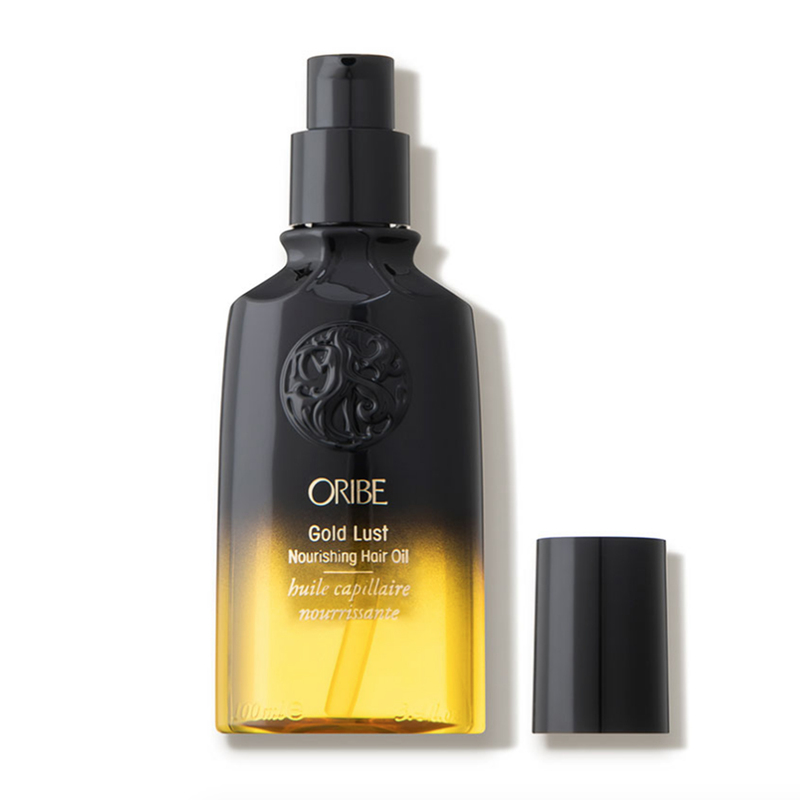 See it: Get the Oribe Gold Lust Hair Oil for just $55 at Dermstore! Also available at Amazon! Shoppers are saying that this hair oil “smells amazing,” but that’s obviously not all they love. One actually said that they apply this oil twice a day and “it keeps [their] curls for up to four days”! That’s pretty crazy, since most other products would create too much buildup over that time period. One shopper even commented that it “works great on dry skin,” too! Who doesn’t love a multi-use treatment? This oil is “luxuriously light,” but its potential effects are heavy duty. It claims to restore, nourish and deeply condition hair, not only making it shiny, but soft and smooth, even at its driest and frizziest state. It may be able to keep our hair at top health even when our hot styling tools are “blowin’ smoke,” as Musgraves would say! The first key ingredient in this oil is Oribe’s signature complex of yummy watermelon, lychee and edelweiss flower extracts. It also features multiple oils we extremely pleased to see on the list. The argan oil may act as a protectant all the while adding shine, while jasmine oil claims to “combat dry, itchy scalp.” The cassis seed oil, on the other hand, is all about moisturizing and strengthening locks. The key ingredients don’t end there; we said this stuff was heavy duty! Sandalwood extract, Amur cork tree bark extract and barley extract may leave our hair cuticles strengthened and our split ends repaired, keeping the moisture level of each strand up. To help with that, there’s the extremely moisturizing shea butter, which may soften damaged hair and even help to protect it against future damage! To use this Gold Lust Hair Oil, pump a pea-sized amount into palms and warm it up by rubbing hands together. Apply to ends, twisting each section of hair as we get to it. We can either apply it to damp, towel-dried hair before styling, or layer it on afterward for “extra luster, conditioning and frizz control.” Also known as the Kacey Musgraves Effect. With this sulfate-free, vegan oil, our hair may see “exceptional shine and moisture” it’s never managed to achieve before. That goes for any type of hair too, even color treated! So, go! Plus, to be honest, we really want that beautiful black and gold bottle on display on our vanity! Looking for something else? Check out more from Oribe here and other hair treatments available at Dermstore here!